Save money as they is no need to employ a full time IT engineer. We have a wide range of services and knowledge that may help your business work more efficiently. 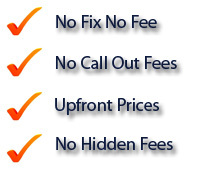 Competitive prices and NO hidden fees. One on one personal service, we treat you as a friend or business partner not a pay packet. Hundreds of businesses have already used our services and most are regular clients. When your business grows and your IT requirements increase our pay as you go service may no longer fit in with your needs. You may just want to pay a set fee for IT support so you know what your Monthly IT support fees will be. Alternatively you may just want to have the ability for your staff to call us for help when they need it without worrying about the costs. 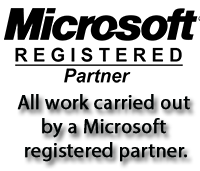 Our IT Support maintenance agreements would be suited to your requirements. We will visit you at your business premises and we can discuss your requirements and future IT plans. Once we know what level of support you will need we will create you a tailor made maintenance agreement that suits your business requirements, without paying for any services you will never use or need. IT Support maintenance agreements are flexible and can be reviewed on a monthly or 3 monthly basis, to ensure that its still meets your needs as all business requirements change as time goes on. If we find your business has grown and you need more support then we can adjust your agreements to support this or you may no longer need the same level of support so we can adapt your agreement to reflect this as well. You will only ever pay for the level of support you need. 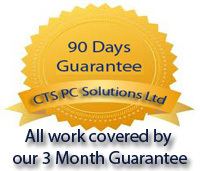 You initial visit to discuss your business requirements is free so they is no risk. General IT support to staff. 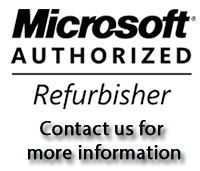 Remote IT assistance for small problems. As your business grows you may need to upgrade your IT setup or you may want new ways to work more efficiently. Whatever you need we can give you the advice and support you need, we also offer several additional services which may help your business without breaking the bank.